Add a sporty appearance to the exterior of your vehicle with either an OE or a Cat-Back Exhaust Tip. 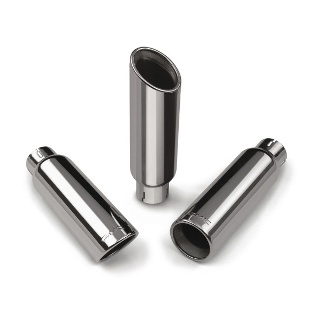 OE Exhaust Tips are stainless steel, dual-wall, angle-cut and highly polished. Cat-Back Exhaust Tips are for use only with GM Performance Parts Exhaust Systems, and are available in either chrome or highly polished. All tips feature the Bowtie logo. *Not for use with pre-installed factory exhaust systems.